Thessaloniki, Greece – G.K. is proud to announce the release and availability of Didi Learns – The Water 1.0, their educational app for iPhone, iPad, and iPod touch devices. 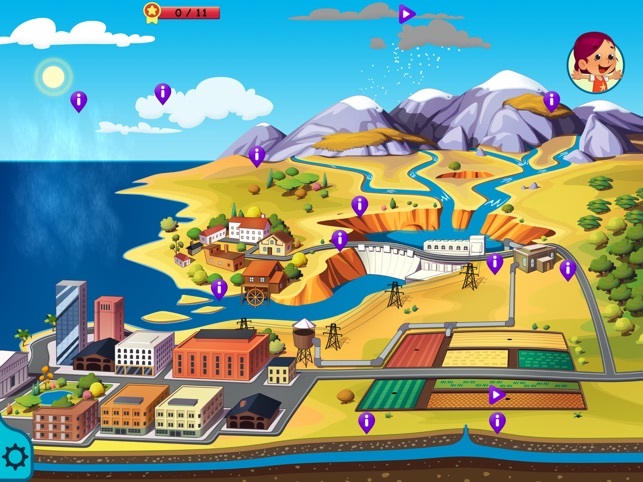 Didi, a little girl with a learning appetite explores the water cycle, the sea and the river. She learns how the rain and snow is produced and how the water is used from the people. She discovers amazing creatures in the deep sea as she travels with her submarine. She can find the whale and hear its amazing song. Near by a river she helps the ships to escape to the open ocean, and the little boat to carry woods to the factory. Didi Learns – The Water 1.0 is just $1,99 USD (or an equivalent amount in other currencies) and is available worldwide exclusively through the App Store in the Education category. A free, lite version of the app is also available. The full version offers the complete material. Promo codes are available to members of the press.